In Southern California, we get so used to dry creeks, we are surprised when those creeks actually have water. 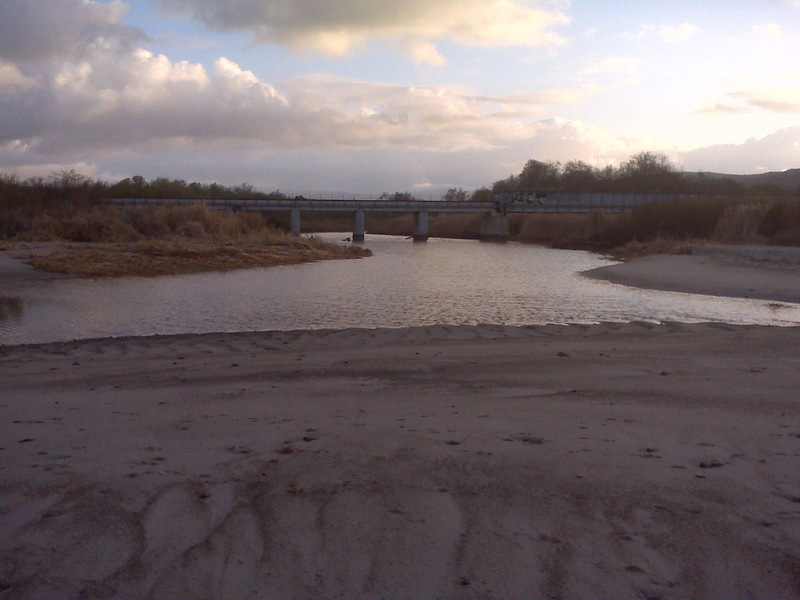 Not only did San Mateo Creek have water in it this year, it blew out the sand spit that forms the lagoon at Upper Trestles. And, it has been flowing for about 4 weeks now. With more storms lining up off the coast for the coming days, it is likely the creek will continue to flow for weeks more. 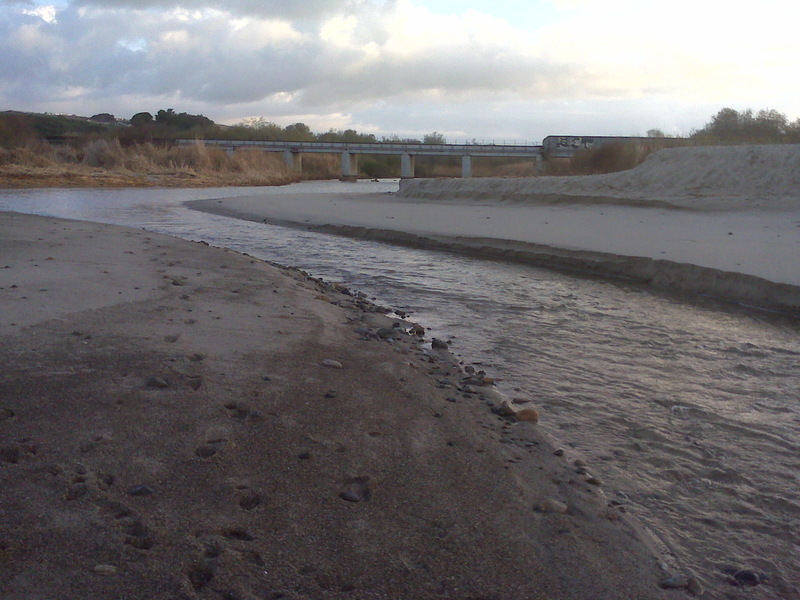 Surfers aren’t the only ones that like to see the creek flow, because it corrects the sand conditions in the lineup. The beavers and steelhead have a chance to thrive. The San Mateo Creek watershed is one of the last pristine areas left in Southern California. It functions like a real watershed, filling with water when it rains. Once the soil upstream gets filled like a wet sponge, it drains for weeks through the natural water course. The result is what we are seeing today. Upstream, the plants and animals will thrive throughout the year. Water is life! Enjoy the water while it’s here. The view from the lineup is refreshing. You can even see the trestles again.